Washington still reportedly considering a decision to lift flight ban on Israel due to 'security concerns'. The Federal Aviation Administration o Wednesday renewed its ban on US flights to Tel Aviv for another 24 hours citing the "potentially hazardous situation" in Israel and Gaza. It first imposed the ban on Tuesday, then renewed it at 1615 GMT with a Notice to Airmen, or NOTAM, that it said would be updated "within 24 hours." The decision means US airlines will avoid Israeli skies for a second day, pending a decision in Washington on whether to lift a ban on all US flights there due to escalation in Gaza. Delta said its flights from New York's John F. Kennedy airport to Ben Gurion International would remain suspended until further notice. "We plan these things conservatively," Delta's chief executive Richard Anderson told the CNBC business news cable channel. "But we will need concrete information from our government that lets us draw an independent conclusion ... that it's going to be safe for our passengers an our employees." United Airlines told AFP "our flights remain suspended until further notice" although its online timetable indicated two flights out of Newark later >Wednesday ;as being "on schedule." US Airways, meanwhile, said it hoped to resume its service from Philadelphia on Thursday, subject to approval from the Federal Aviation Administration (FAA). "We are reaching out to customers and working with other airlines to reaccommodate those affected," a spokeswoman added. On Tuesday, the FAA ordered US air carriers to steer clear of Tel Aviv "due to the potentially hazardous situation created by the armed conflict in Israel and Gaza." It issued the Notice to Airmen, or NOTAM, after a Hamas rocket struck Yehud, which is north of Ben Gurion airport, as an Israeli military assault on targets in Gaza continues. It added that its NOTAM would be updated Wednesday. In Germany, Lufthansa said it had cancelled a total of 20 scheduled flights Thursday to Ben Gurion from Frankfurt, Munich, Cologne, Zurich, Vienna and Brussels. "At the moment there is no reliable new information that would justify a resumption of flight service," said Lufthansa in a statement. Israeli flag carrier El Al, on the other hand, declared on its website that it was business as usual. "In light of flight cancelations to Israel by foreign air carriers we would like to inform you that El Al, as always, will continue to fly from and to Israel," it said. "The company will continue to keep Israel's skies open, and will be at your service at any time," it said in a post that it headlined: "Always here, always will be." Passengers on its flight out of New York on Tuesday included the city's billionaire former mayor Michael Bloomberg, in what he called a show of solidarity with Israel. He called Tel Aviv's Ben Gurion the "best protected airport in the world" where El Al flights had continued safely despite the European and North American hiatus. "The flight restrictions are a mistake that hands Hamas an undeserved victory and should be lifted immediately," Bloomberg said. "I strongly urge the FAA to reverse course and permit US airlines to fly to Israel," he added. Israel called American air carriers Tuesday to assure them there was no security problem for take-offs and landings. US Secretary of State John Kerry, who is trying to broker a ceasefire in Gaza, told Israeli Prime Minister Binyamin Netanyahu the FAA ban was ordered only to protect the safety of US citizens. 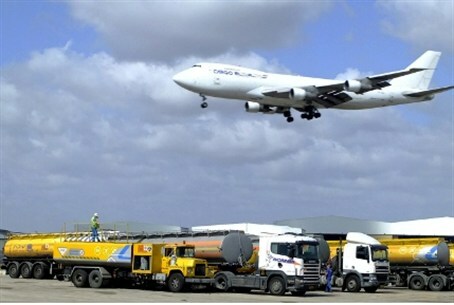 The Israeli Airports Authority meanwhile announced Wednesday it would open the Ovda military airport, 35 miles (60 kilometers) north of Israel's Red Sea resort of Eilat, as an alternative to Ben Gurion.